For Filipinos, December is unmistakably associated with the Christmas season. It is a time marked by longer nights and shorter days, as well as that all-too-familiar chill in the air. But while the cooling climate signals the start of the holidays, Christmas has always been the warmest season for Filipino families. It is a time when we all come together to celebrate the spirit of love and giving in every home. Christmas will not be complete without the many colorful ornaments like parols, dancing lights, and Christmas trees all adding color to the already festive and joyous time of the year. Church bells peal as early as dawn to signal the start of the midnight Mass where many of the faithful come together in prayer. Of course, the season will not be complete without the company of family and friends meeting once again over Noche Buena before gifts are exchanged and wishes of good tidings and prosperity whispered to each other. Indeed, we celebrate Christmas like no other country can. "Out of all the Red Letter Days, Christmas is seen as the time for the biggest family gatherings. It is when we share special moments with our families and loved ones. It reminds us of the blessings that we have received throughout the year and at the same time reminds us that it is time to give back,” said Ned Bandojo, Head of Marketing of Red Ribbon. In this time of giving, Red Ribbon, one of the largest bakeshop chains in the country, becomes an important part in making Christmas more special for every family. “We are one with the Filipinos in keeping the tradition of sharing this holiday season,” added Bandojo. With its great-tasting cakes, breads, and pastries, Red Ribbon has long been committed to making the season of giving sweeter and more memorable. Each of these delights is made to perfection worthy to be shared with the people you love. 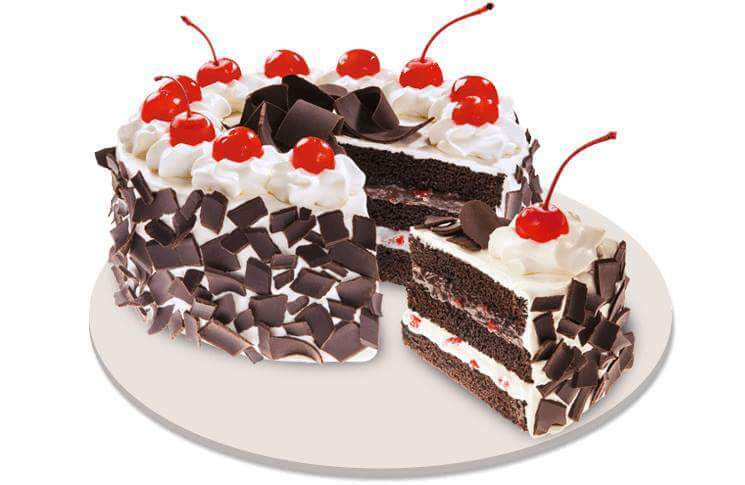 Red Ribbon Black Forest, for instance, has always been a staple on every Noche Buena table. With its delicious layers of cream and cherry chocolate indulgence, it never fails to make big celebrations, like Christmas, worth looking back to with a smile. Aside from this, Red Ribbon also offers other refreshing goodness like the Peach Mango Symphony Cake. It has the perfect blend of melt-in-your-mouth vanilla cake with the sweet goodness of mango mousse filling infused with hints of cheese for that explosion of sweet and salty flavors in every slice. It is also topped with peach slices and chocolate embellishments for a feast for the eyes and the taste buds alike. Red Ribbon started in Quezon City in 1979, with the objective of offering great-tasting food that brings feelings of joy to every Filipino family. As it grows to be one of the leading bakeshops in the country, Red Ribbon takes part in the Filipino family’s celebratory occasions, especially during the holiday season. To know more about Red Ribbon’s many delights, visit www.redribbonbakeshop.com .